Protestors in opposition of expansion of London airport Heathrow have created a brilliant way to bring their message to the streets. Inspired by ‘wash me’ messages written in the dust on dirty trucks, they invented clean graffiti. 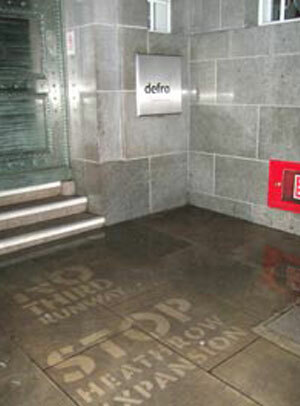 The text is created by selectively cleaning a dirty pavement surface. 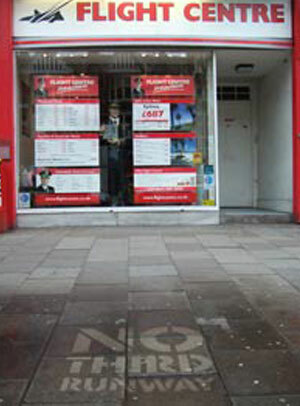 Slogans ‘Stop Heathrow Expansion’ and ‘No third runway’ have been appearing all over London. And the smart thing is, clean graffiti is perfectly legal.